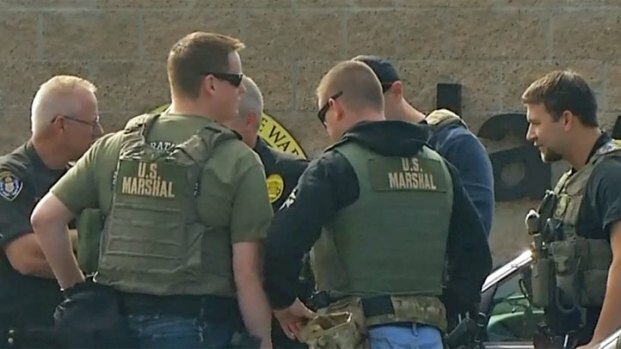 The vehicle at the Poway Sheriff’s Substation was examined by homicide detectives for any trace of Dorner (inset). A second vehicle believed to be linked to fugitive and former LAPD officer Christopher Dorner was found in San Diego Thursday, Irvine police confirmed. 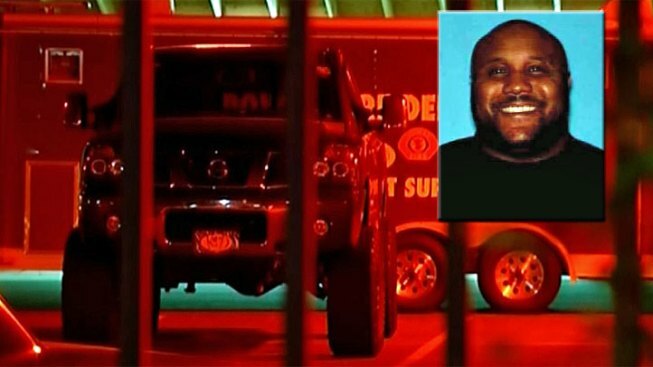 At around 6:10 p.m., a truck of a make and model similar to that of Dorner’s Nissan Titan was examined at the Poway Sheriff’s Substation at 13100 Bowron Rd, officials said. Police believe Dorner may have stolen license plates from this truck, which explains why authorities gave two possible license plate numbers for Dorner’s Titan in a statewide alert message. Irvine police processed the vehicle in Poway for physical evidence, including fingerprints. Police across Southern California are following up any leads to capture homicide suspect and former LAPD officer Chris Dorner. NBC 7's Nicole Gonzales reports. At this time, police could not confirm where they retrieved the truck or how the truck wound up at the Poway Sheriff's Substation. Police are calling this second truck a "vehicle of interest" in the manhunt for Dorner. Police say they have been in contact with the registered owner of this second truck. No further details were released. This discovery came after Dorner’s burned-out vehicle was found by police off a forestry road in the woods south of Big Bear Lake Thursday. Officials confirmed the charred pickup belongs to Dorner, who remains at large following a statewide manhunt. 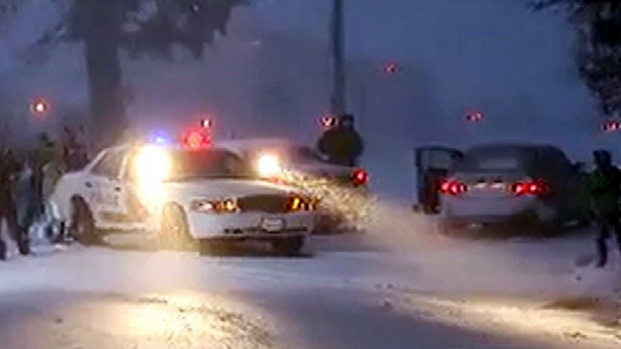 Dorner was not found inside the vehicle in Big Bear, but officials did say tracks were found nearby. Stay up to date on the search for Christopher Dorner over the weekend by signing up for NBC 7 San Diego breaking news alerts. That theory has law enforcement all across the Southwest on alert for Dorner. Late Thursday, San Diego County sheriff's deputies surrounded a home in Lakeside after a tip that the suspect was inside. Hours later, that tip was determined to be a hoax.